GLADSTONE, get your palms ready for the one and only Australian Psychic Expo. Hosted at the Grand Hotel from Friday until June 9, the Expo will see a number of experienced psychics from all over the world join forces in the one venue. Event Coordinator Konnie Gold said the Expo always draws a large crowd of curious people. "We've been coming to Gladstone for 20 years and everyone's really open and friendly. "We always get lots of people in Gladstone," she said. Mrs Gold said there were 10 psychics at the expo, with some from New Zealand and England. 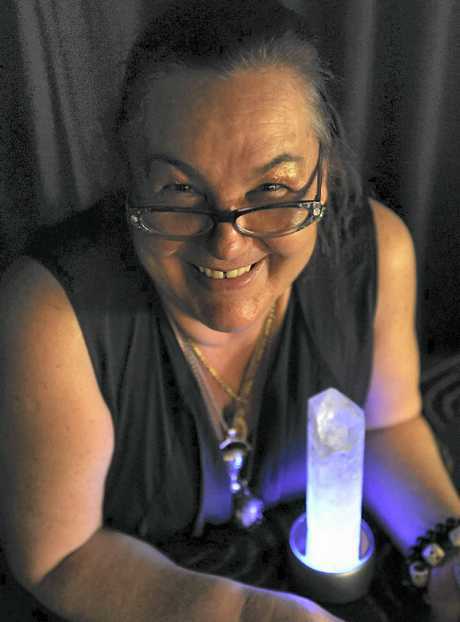 The ladies are trained as aura readers, medical intuitives, astrologers, tarot readers, past life regressionists, and have plenty of other specialties. She encourages those who steer clear of psychic experiences to give it a go. "Why not?" Konnie said. "You don't know until you try." Konnie has been conducting readings since she was 15-years-old. She has been associated with the expo for 22 years. Cassandra Eason from the UK also will be on deck at the expo. Cassandra is an active guest on television shows such as Ghost Hunters and Big Brother. The expo is open from 9am-7pm and entry is free. A half-hour reading is $55. Fantabulous!